A Culture. A Commitment. A Way of Life. 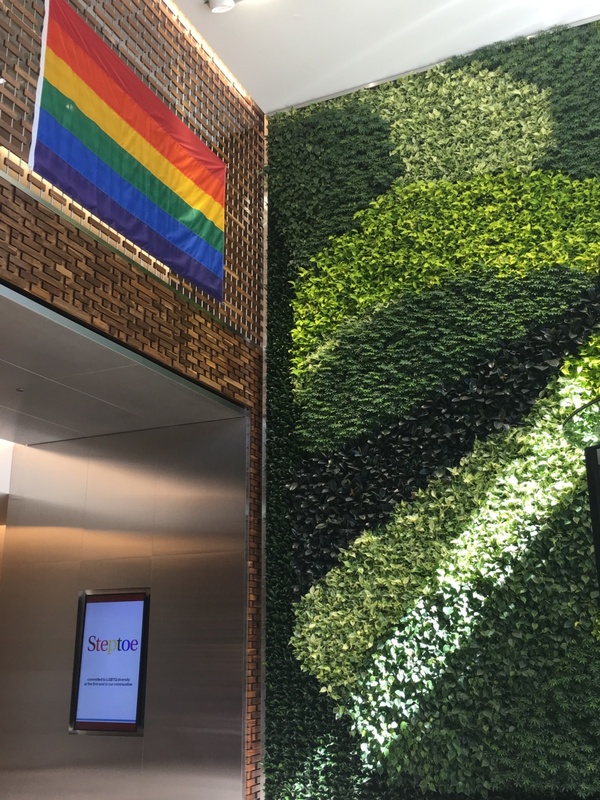 Steptoe is committed to fostering a firm culture that is welcoming and supportive to members of the LGBTQ+ community. Last year, the Human Rights Campaign recognized Steptoe's commitment to equality with a perfect score on the 2018 Corporate Equality Index. Doron Ezickson from the Anti-Defamation League presented "The State of Hate in America and Strategies for Moving Forward," sharing statistics about the current state of decline of tolerance in today's society and how the internet has rapidly increased the ability to disseminate hate speech. Rachel Tiven, CEO of Lambda Legal, discussed the history of legal discrimination, legal developments impacting the LGBTQ+ community, and opportunities for civic engagement. Hosted a breakfast with speaker Rachel Tiven, CEO of Lambda Legal, and a Pride kick-off lunch featuring an update about the state of play of LGBTQ rights in the US by the Human Rights Campaign (HRC). Transformed the Steptoe logo into rainbow colors, offered the option of adding one's preferred gender pronouns to the email signature block, and hosted several Casual for a Cause events for LGBTQ charities. Hosted the second annual Pride Happy Hour in Phoenix, as well as a Pride lunch in London. Displayed a Pride flag and culminated the month with a rainbow cake in New York. Hosted a tour of San Francisco highlighting local LGBTQ+ history, and attended Nationals Night OUT in Washington. Hosted An Evening OUT networking event in Washington for more than 120 lawyers and staff from peer firms, industry, and academia. Diana Flynn, Litigation Director at Lambda Legal, provided keynote remarks.